RINAC Pioneered the indigenous, pressurized type Ripening chambers of global standard which is running exceptionally well all over India. With expertise across the full spectrum of fruit ripening chambers, Pre-cooling chambers, cold storage construction & refrigeration system. 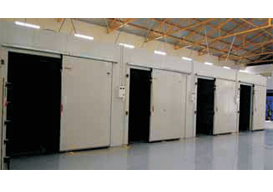 RINAC India provides focused solutions namely conceptualizing, designing, manufacturing and implementation of cold infrastructure requirements to cater to needs of diverse industries. 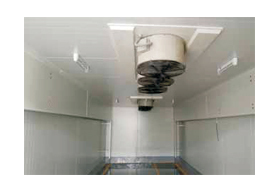 RINAC India offers Banana ripening chambers available with Pressurized/Reverse air flow evaporators and Humidity controlled rooms.